"They are the behemoths of the motorhome and RV industry"
2. They are easy to handle and drive. Although they are huge vehicles, the suspension has been tuned to make them surprisingly easy to handle as they go down the road. 3. If you are into features and luxury appointments, this the motorhome for you. It's a rolling mansion on wheels. 4. The engines used for bus conversions are very powerful and you should not have any problem with not having enough power to pass other vehicles or tow a vehicle behind. It's comforting to know that when you step on the accelerator the power is there to do what you need. 1. Price. If you think Class A motorhomes can be pricey, you haven't seen anything yet. The most recognized bus conversion companies include Newell, Bluebird and Prevost and their bus conversions can run well into the millions of dollars so they won't be in everyone's price range. 2. Cost of repairs. 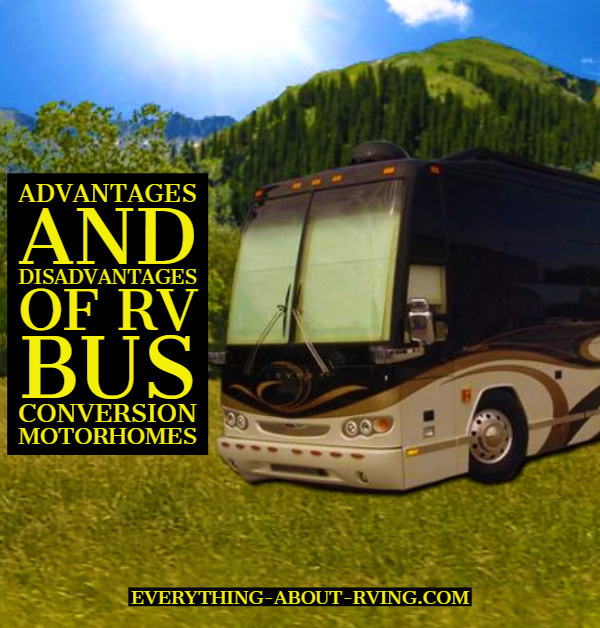 Although they can be the most durable of RVs, they also can be the most expensive to repair. They also can't be repaired by the local auto repair shop, so you have to be able to get them to a facility that can handle them properly if they need repair. Just buying a bus conversion does not end your investment. Be sure to factor in plenty of money for needed repairs or buy an extended warranty that can put a cap on your repair costs. 3. If major repairs need to be made you will have to stay in a motel during that time as your home will be in the reapir shop. As you can see the advantages are many and the disadvantages mainly revolve around financial matters. If you have the money to buy one of these fabulous machines, you probably won't be disappointed. But if it will be a stretch for you to buy, you may want to look at a Class A motorhome instead.